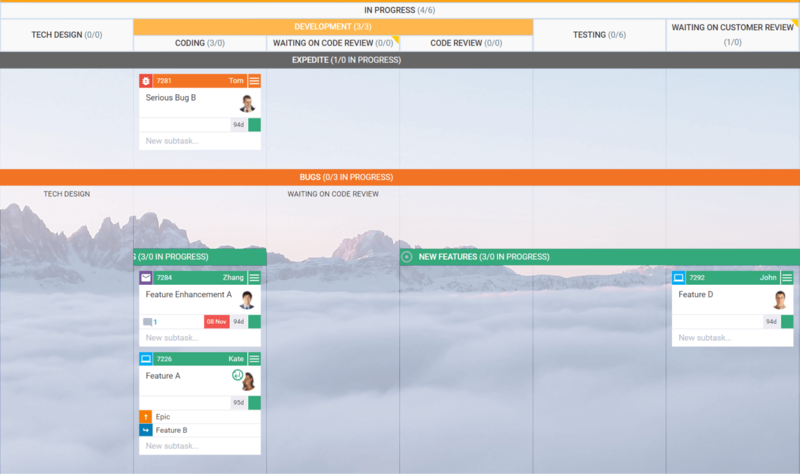 Kanban has become one of the favorite methods for workflow visualization and Lean management in general. Often, while looking for a digital Kanban solution, teams confuse Trello for such. However, when they realize that there’s more to the method than moving cards across a board with columns, they start looking for an alternative. From this table, you can understand that if you only seek the ability to visualize work items, both tools can serve you right. However, if you are looking for professional Kanban software, you need something better than Trello. At this point, it is logical to ask yourself what is the difference between a professional Kanban software and one that covers a few of the practices. To answer it, we will use the Kanban maturity model as a reference. It breaks down the six core practices of Kanban into 7 organizational maturity levels and 132 sub-practices depending on how adept you are with it. 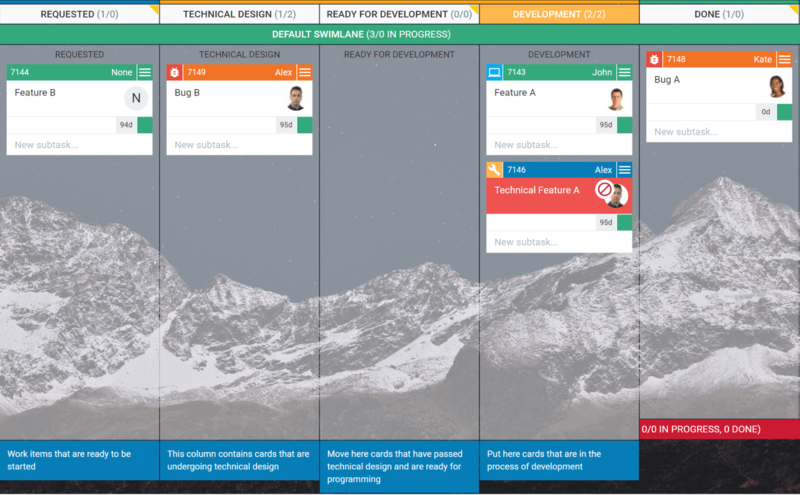 Trello is a fantastic tool for getting started with Kanban visualization. However, as your team matures, you will inevitably feel some limitations. For example, you won’t be able to visualize blocked items, create flexible board layout, nor make classes of service transparent. If you are already at this stage and are looking for a Trello alternative to facilitate more advanced Kanban implementation, Kanbanize won’t disappoint you. Limiting work in progress allows you to focus team capacity on what is already started before engaging with new tasks. This is Kanban’s primary way of optimizing efficiency, so you will definitely need functionalities related to limiting it. A quick look at all the different ways to do so in the table above gives you an instant answer why Kanbanize is better than Trello for practicing Kanban. So, if you are ready to take the next step you should carefully consider your options. Managing flow can easily be considered as managing process efficiency. To do so you need a variety of features for measuring the stability of your process, forecasting, managing work types. What really makes Kanbanize stand out as a next step alternative to Trello is the ability to break down a project and manage dependencies between tasks. Process policies are your workflow’s law. The more clear you make them, the easier for your team to follow them and perform in the best possible way. Trello is more suitable for personal use, rather than advanced Kanban implementation. 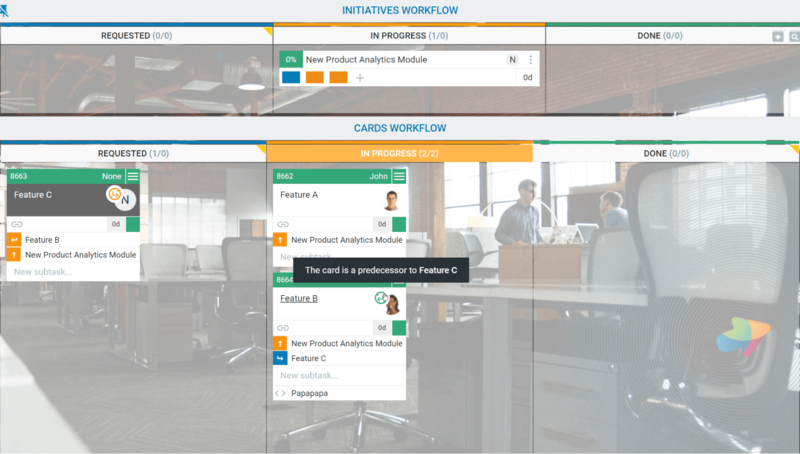 Kanbanize is a logical next step alternative to Trello as it has a plethora of features for advanced process management with Kanban, which allows you to implement all but two of the above-listed practices. Kanbanize and Trello have very similar features regarding feedback loops. You can leave comments to your team regarding any assignment on your projects. Both platforms are equipped with in-app notifications and desktop push notifications as well. On the other hand, the email integration feature of Kanbanize is bidirectional so you can also send emails directly from cards. Kanban software solutions can have a serious contribution to achieving continuous improvement as they provide analytics to measure your process performance and show you room for improvement. To learn more about the specific charts available, please visit our dedicated analytics page. If you are considering a switch to Kanbanize, we’ve gathered some of the most notable strengths that have led people like you here before. From a visualization perspective, Kanbanize provides a far greater diversity of features for mapping your workflow and getting everybody on your team in the loop about what is going on. For instance, you can create a comprehensive board layout containing as many columns and swimlanes as you need. Nonetheless, you can merge or split them as you please to create a layout that perfectly fits your needs. On top of that, this is done with just a few clicks thanks to the flexible workflow designer inside. As a next step alternative to Trello, Kanbanize allows you to define various block types for any problem that may appear in your workflow. Afterward, you can visualize them as card tokens and make issues transparent as soon as they appear. We already expressed the need for WIP limits in this article. In addition to keeping your team focused, you can protect your process from getting cluttered with started but unfinished work. Whether you prefer limiting work on an individual level, setting up CONWIP for your team or even limiting work per project dispersed across several teams, Kanbanize allows you to do so with just a few clicks. With their help, you can break down large initiatives and connect the different aspects that comprise them. Even better, you can specify the order of processing and improve the execution handling. Analytics are another reason why you should consider Kanbanize. With the available set in our platform, you can gather data about the cumulative flow of tasks in your process in order to maintain stability. In Kanbanize, you can also gather various data regarding the performance of your assignments. For example, you can measure the cycle time of every card and initiative in your workflow, see trends (increasing or decreasing over time), filter cycle time by criteria such as type, assignee, priority and much more. Why waste time on activities that can be easily automated? Kanbanize is equipped with a powerful business rules engine that you can put to use for various types of workflow automation. Basically, you set up hooks that trigger actions when certain events occur. When you decide that you want to transition from Trello to Kanbanize, we encourage you to check our product knowledge base. There you can find an extensive archive of information regarding features and functionalities in Kanbanize. If you wonder how you can transfer your projects from Trello to Kanbanize, don’t worry. We have developed an integration between the platforms that allows you to transfer all your cards to Kanbanize in a simple fashion. All you need to do is re-create your boards in Kanbanize and everything else will be copied from Trello. To get you up to speed quickly, we have developed an onboarding process in Kanbanize that will walk you get you started with the platform when you create an account. In addition, our team is always ready to assist so just drop us a message and we will contact you shortly. If you only seek the ability to visualize work items, Trello can serve you just right. However, if you are looking for an alternative to help you implement the Kanban method to its full extent, Kanbanize is equipped with all you need to go to the next level. Try it out for free and feel the difference.